bourne. . HD Wallpaper and background images in the Jason Bourne club tagged: matt damon poster bourne movie sniper. 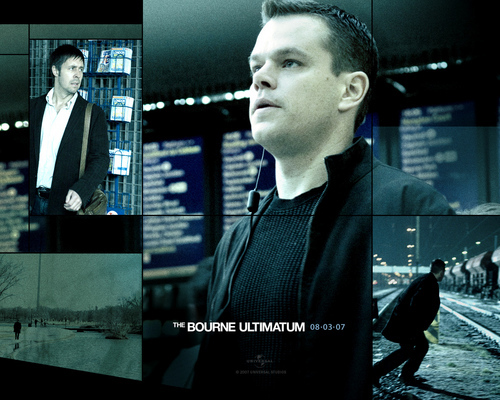 This Jason Bourne wallpaper contains fernsehempfänger, fernseher, glotze, flimmerkiste, tv, tv-gerät, idiot box, goggle-box, zeichen, plakat, text, tafel, schilder, and poster. There might also be high definition television, hdtv, high-definition-fernsehen, high-definition television, geschäftsanzug, and business-anzug.